Family Office Insights sits down with CEO, Gary Ford of MCE Social Capital to discuss their unique mission, their commitment to empowering women and how they plan to change the world. What is MCE Social Capital’s mission? Founded in 2006, MCE Social Capital (MCE) is a nonprofit impact investing firm that uses a pioneering loan guarantee model and private placement note program to generate economic opportunities for hundreds of thousands of people, especially women in rural areas, in more than 30 developing countries across four continents. More than two billion people in the world lack access to formal financial services — including savings accounts, insurance, and loans — and consequently must contend with financial insecurity on a daily basis. Small businesses also suffer from a lack of appropriate finance opportunities, despite their unique potential for transformative job creation and social impact. MCE fills these financial inclusion gaps by making loans to microfinance institutions and other financial providers (MFIs) that help people living in rural areas gain access to credit, savings accounts, insurance, healthcare and health education, business education, and technical assistance, and small and growing businesses (SGBs) that create jobs, help smallholder farmers, facilitate clean water and energy, and increase household savings. Through its innovative model, MCE provides family offices, impact investors, foundations, institutional investors, and philanthropists with unique opportunities to support hard-working people in some of the most impoverished and underserved regions of the world. Can you explain MCE’s loan guarantee model and why is it so effective and appealing for investors interested in joining the global effort to alleviate poverty? MCE’s Guarantor model allows individuals and organizations to unlock millions of dollars of private sector capital for people in the developing world, all while leaving their money where it is profitably invested and without having to segregate, move, or otherwise relinquish any of their assets. Here’s how it works: MCE collects philanthropic pledges from foundations and individuals (its Guarantors) to make tax-deductible contributions to MCE if — and only if — an MFI, or SGB fails to repay a loan from MCE. MCE pools these pledges — currently more than $120 million in total loan guarantees — and uses them as collateral to borrow capital from US and European financial institutions like First Republic Bank, OPIC, RSF Social Finance, the Calvert Foundation, New Resource Bank, and dozens of accredited investors. MCE’s highly-skilled team of professionals then conducts extensive due diligence on impact-driven MFIs and SGBs around the world. MCE’s portfolio includes a variety of sectors, including microfinance, agricultural value chains, clean energy, water, and sanitation. Over its eleven-plus years of operating, MCE has an impressive 98% repayment rate from its borrowers. As a result, someone who has been a Guarantor at MCE since 2008, for instance, has helped unlock more than $3.5 million in private sector capital for MCE’s investments, while at the same making only approximately $20,000 in tax deductible donations to MCE. MCE also sells Global Economic Opportunity Notes to finance its investments. What are they? Investors in MCE’s Global Economic Opportunity Notes earn a fixed financial return, generate positive social impact, and benefit from MCE’s 10-year track record of solid portfolio performance. Uniquely, 100% of MCE’s portfolios of MFI and SGB loans are backed by more than $120 million in loan guarantees. MCE offers 1, 2, 3, and 7 year notes at competitive interest rates and flexible minimum investments. Purchasers of MCE’s Notes join a distinguished group of MCE lenders that includes socially minded accredited investors and leading financial institutions. Over the last three years, MCE has sold more than $20 million of its Global Economic Opportunity Notes. You have a strong commitment to empowering women. Why? MCE focuses on organizations that are women-led, include a majority of women in a supply chain, specifically develop products or services for women, employ a majority of women, and/or have a majority of direct clients who are women. We do this in an attempt to not only address the global financial inclusion gap, but also the gender gaps that exacerbate it. According to the World Bank, for instance, an estimated 1.1 billion women, or 55% of the world’s “unbanked,” lack access to formal financial services. Furthermore, 70% of women-owned SGBs are not served, or are underserved by financial institutions. At the same time, women in emerging markets reinvest up to 90% of their earned income into their families’ education, health, and nutrition, compared to only 30-40% for men. Investing in the potential of women is one of the most effective means of advancing global development, and MCE is committed to this mission. What are some examples of your portfolio companies? Salone Microfinance Trust in Sierra Leone empowers small-scale entrepreneurs and rural farmers, the majority of whom are women, with financial services that stimulate microenterprise development. The Alliance for Microfinance in Myanmar provides financial services and education to low-income entrepreneurs, especially women in rural areas, who are held back by poverty and financial exclusion. Fonkoze in Haiti provides a full range of financial and development services to low-income, rural communities, serving over 200,000 clients. Sunfunder, a solar finance company, provides inventory, working capital loans, and project financing to manufacturers, distributors and other solar energy companies in Africa, Asia and Latin America. One Acre Fund provides a comprehensive set of services to smallholder farmers throughout East Africa, aiming to serve at least five million people in one million farm families by 2020. Siatol provides thousands of small-holder soybean farmers in Burkina Faso with business services, agronomic training and increased market access, boosting household incomes of thousands of people. What are MCE’s plans for the future? Since 2006, MCE has made more than $120 million in loans reaching hundreds of thousands of people in more than 30 developing countries in Latin America, Sub-Saharan Africa, Asia, Eastern Europe and the Caucasus, helping more than 2 million people create a better future for themselves, their families, their communities, and their countries. MCE now aims to grow its portfolio of MFI and SGB loans and multiply its impact by expanding its base of Guarantors and note purchasers. MCE is also brokering new, catalytic partnerships, like its new collaboration with USAID’s Partnering to Accelerate Entrepreneurship (PACE) Initiative. Gary Ford is an attorney, executive, and impact investor who focuses on market-driven approaches to help people lift themselves out of poverty. 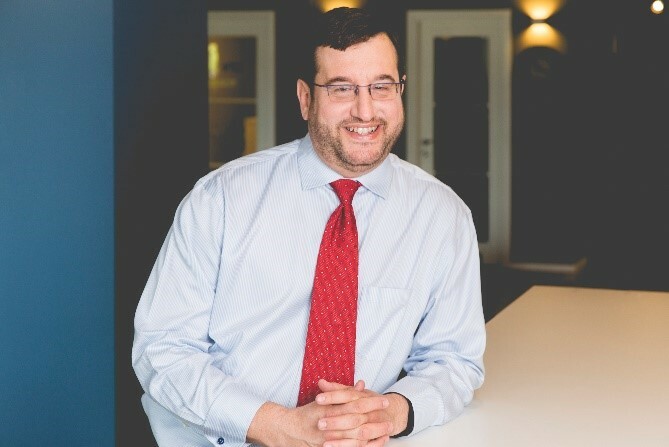 Gary currently serves as President and CEO of MCE Social Capital, a nonprofit impact-investing firm that uses a pioneering loan guarantee model to generate economic opportunities for hundreds of thousands of people in more than 30 countries, with a special commitment to women and people living in rural areas. MCE works to help the billions of people in the world who lack access to formal financial services and must contend with financial insecurity on a daily basis by funding two types of organizations: (a) microfinance institutions (MFIs) that help people living in rural areas gain access to credit, savings accounts, insurance, healthcare, business education, and technical assistance, and (b) small and growing businesses (SGBs) that create jobs, help smallholder farmers, facilitate clean water and energy, and increase household savings. Since 2006, MCE has made more than $130 million in loans reaching hundreds of thousands of people in more than 30 developing countries in Latin America, Sub-Saharan Africa, Asia, Eastern Europe and the Caucasus, helping more than 2 million people create a better future for themselves, their families, their communities, and their countries. MCE continues to grow its portfolio of MFI and SGB loans and multiply its impact by expanding its base of Guarantors and note purchasers. For more information, please contact MCE at info@mcesocap.org to learn more about their unique opportunities to make a difference in the world.